Pictured L-R receiving the award: Matt Cole, Claire Donnelly, Rachel Lyons and Julian Yarr. ALG has been named International Firm of the Year 2019 at the prestigious Legal Business Awards in London. 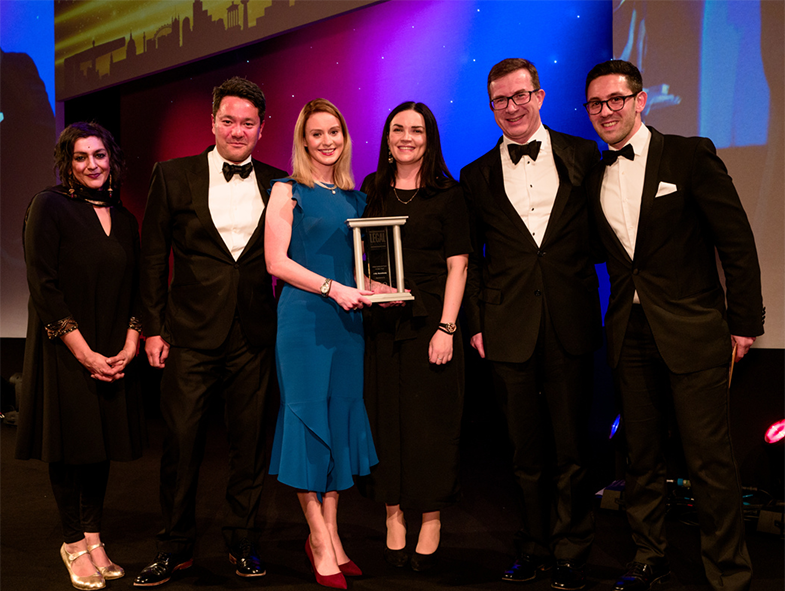 Julian Yarr, Managing Partner, accepted the award on behalf of the firm and is pictured here with ALG's Matt Cole, Corporate Partner, Rachel Lyons, Solicitor and Claire Donnelly, Solicitor. "This Dublin powerhouse combines strong financial performance with standout mandates in M&A, property, financial services and litigation. Its international strategy is clearly defined with the US, UK, China and Germany key areas of focus. Its commitment to embracing new technology, supporting CSR initiatives and promoting diversity are impressive, with almost half the partners appointed in the last six years being female." This is a significant award for the firm as the category is open to any law firm outside of the UK and US.